I hardly ever have the time to pop down to Newcastle (in the North East of England), so when I do I always need to take a trip to Space NK. Now if you haven’t ever heard of Space Nk, I suggest you get on Google and find your nearest! It is skincare heaven, not to mention a great selection of beauty products for you girls. They stock brands that aren’t seen in other stores and have a fantastic selection of products on their shelves. Not only wishing I had every product on the shelf, but the stores are always clean and simplistic. Again, skincare heaven! 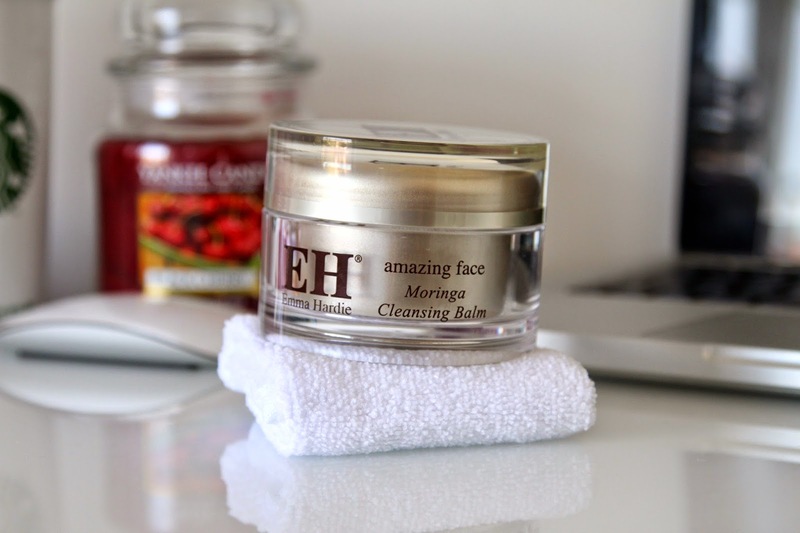 So my little tradition is always to treat myself whenever I’m in there and this time my eyes were drawn to the Emma Hardie Moringa Cleansing Balm. I have heard soooooooo many people talking about this from Tanya Burr to Ruth Crilly, not to mention so many blogs I have read, so it was about time I found out what all the fuss is about. And boy do I now know why everyone loves this! If you’ve read my previous posts you’ll know I’m not really a fan of balm cleansers. I don’t really like the hardness of them and how it takes a while to make it actually rub around your skin, but I can tell you now this one has completely changed my opinion. 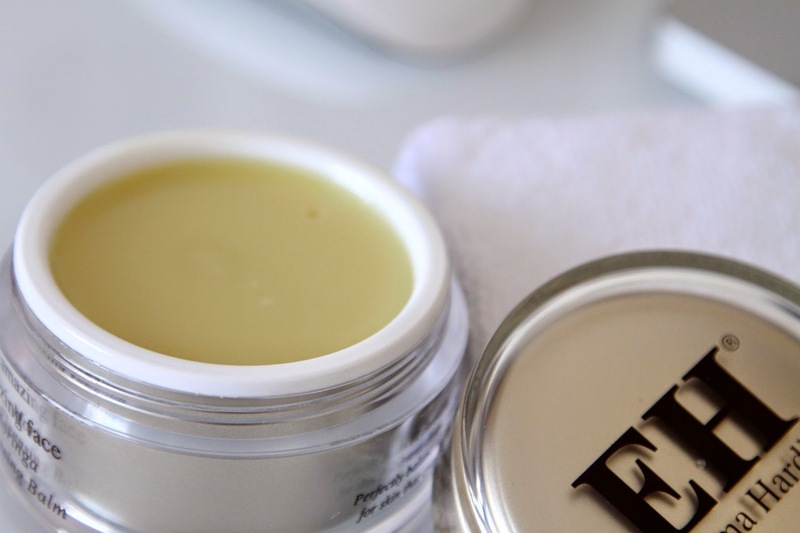 Even though it’s a balm cleanser, it has a soft texture to it which means applying to your skin is fuss free and very therapeutic. It leaves your skin feeling nourished, hydrated and fresh… not to mention the super soft cleansing cloth that comes free with it (best I have ever used in fact). This product gives a great base for your skincare routine, however I wouldn’t recommend using this ladies to take your makeup off, as its a little expensive and more of a skin cleanser not makeup remover. Retailing at £36, this luxury product is a perfect treat for your night time routine, that softens, repairs and leaves your skin feeling prepped, appearing smoother and brighter. I highly recommend it!